Use the STOP Method to Replace Destructive Responses with Constructive Behavior. Out-of-control anger can destroy relationships, reputations, careers even your health. 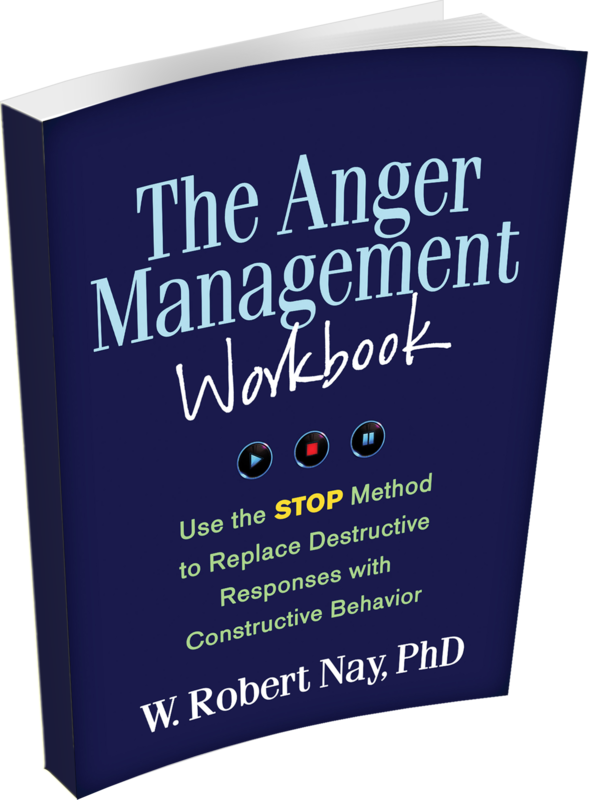 But Dr. Robert Nay knows from extensive clinical experience that nearly anyone can learn to manage anger constructively with enough practice. When this book is close to publication, the practical tools will be available in PDF format for downloading and printing. This systematic workbook builds core anger management skills using interactive exercises that readers can tailor to their own needs. 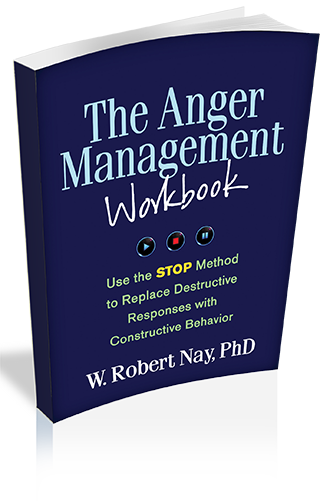 Dr. Nay provides practical tools for identifying anger triggers, recognizing the different faces of anger, replacing aggression with appropriate assertiveness, and defusing conflicts. A wealth of realistic stories and examples invite the reader to "step in" and practice the skills discussed until old habits are replaced with more productive new ones. When anger gets in the way of personal goals, this book provides a blueprint for change. Readers can download and print additional copies of the worksheets and forms. Dr. Nay has done it again! This excellent self-help book is chock full of up-to-date information about anger assessment and reduction. An outstanding recommendation for anyone seeking to recognize and manage inappropriate anger and associated behavioral problems. This book helps you ward off the corrosive effects of anger and eradicate roadblocks to true connection and intimacy, such as cold neglect and stonewalling. Dr. Nay drives his message home with exercises, specific suggestions, and handy reminders. In today's stressful daily life, Dr. Nay guides you to maintain your composure, communicate effectively, and improve your relationships. Watch a video of Dr. Nay working with a couple. W. Robert Nay, PhD, is a clinical psychologist in private practice in McLean, Virginia, and Annapolis, Maryland, and Clinical Associate Professor at Georgetown University School of Medicine. He has trained thousands of mental health professionals nationwide to work on anger management and relationship issues with their clients. The author of Taking Charge of Anger, Second Edition, and Overcoming Anger in Your Relationship. Dr. Nay has spoken nationally for the American Healthcare Institute and Premier Educational Systems and to universities and public and private agencies. He has appeared multiple times on Entertainment Tonight to discuss media violence, on the Arts and Entertainment Network, on CNN-FN, interviewed on Geraldo At Large (Fox News Network – primetime), on the Derek McGinty Show on CBS, Washington, for the Associated Press Radio Network, as an expert on WEB-MD and for Child Magazine’s Child.com and has been interviewed by ABC News, MSNBC.com, Cosmopolitan Magazine, Natural Health, The Washington Post, The New York Post and many other news, radio and television outlets. He writes a nationally published Relationship blog for the magazine Psychology Today. Dr. Nay curently practices at Annapolis Psychological Associates located in Annapolis MD and McLean Psychological Practice located in McLean VA.